It is not just first time home buyers who are surprised by what can derail your home purchase. As the old saying goes “nothing remains the same” and that is certainly true in the real estate industry. Loan requirements change all the time, including new regulations. Your real estate professional and mortgage broker can help you through the process. 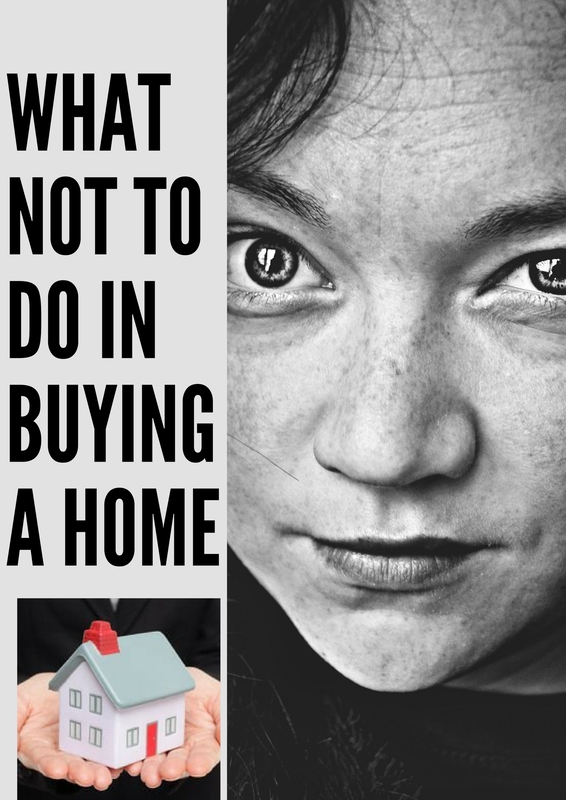 Keep reading to keep your home purchase as stress free as possible! Don’t miss loan payments. This includes not only your current mortgage but all loans – credit cards, cars, student loans. The lender will take a second look at your credit report before finalizing your mortgage. If your situation changes, they can revoke the loan commitment. Don’t change your bank. Maybe you saw a great deal from a competitor of your bank and you think you can’t pass it up. Maybe you aren’t happy with your current bank. Changing banks before your loan is finalized can jeopardize your loan. Don’t move your finances around before getting the loan. It is important to maintain the current state of your finances. Don’t shift money around to get a better interest rate or “deal”. If you do, you will likely have to give a detailed explanation of why you did so. Ask before you consolidate your debt. Read the fine print. Consolidation may not improve your credit the way you expect. There may be hidden fees or interest rates that can increase without warning. Changing Jobs? Think again! Changing jobs may make the lender think you are unstable. Lenders love stability. Make the move after the purchase is complete or talk with your real estate professional and mortgage broker before making the move. Don’t buy anything! Of course, you will keep on living and buy groceries, pay your bills. But purchasing a car, furniture and appliances before closing on your home may kill the deal. Do not take on any new debt while you are purchasing a home. Avoid cash deposits and large deposits. It makes lenders nervous! They want you to have the money for your down payment and closing costs in your bank for at least two months. They consider it a demonstration of your stability and ability to cover the loan payments. Do as little as possible to make a lender scrutinize your finances. No credit inquiries please. Anytime you sign up for a new service, cell phone, utilities, not to mention credit cards or loans, a credit inquiry is made. But your lender may think that you are taking out more debt, even if you are not. Why be a co-signer? Don’t do it. You are obligating yourself financially if the primary person on the loan does not make their payments. Lenders frown on this and may deny your loan. No matter how much you want to help your friend or relative, at least postpone co-signing until after you have closed on your home. Don’t overextend yourself. You want a beautiful home but you still want to have a life, have a vacation now and then, put some money in savings, right? People often qualify for more than they feel comfortable paying each month. Really, really look at your finances and your life and make a good decision for your family.